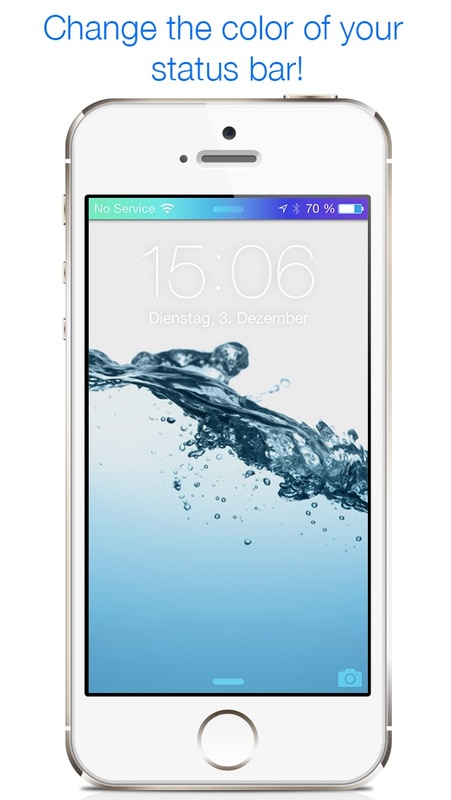 Personalize the Status Bar of your iPhone or iPod. Colors does just what the names tells, it adds color to your iPhone. Colorize the Status Bar in many different styles. And it's not just the status bar you can change to your liking, you can change the color of the battery icon or the service dots (iPhone only) as well. With that much choice in this app that you are sure to find exactly what you were looking for. Why should your device be less unique than yourself? Make your iPhone or iPod look different and stand out of the crowd, give it the personal touch it deserves. Give your iPhone, iPod or iPad YOUR personal touch! 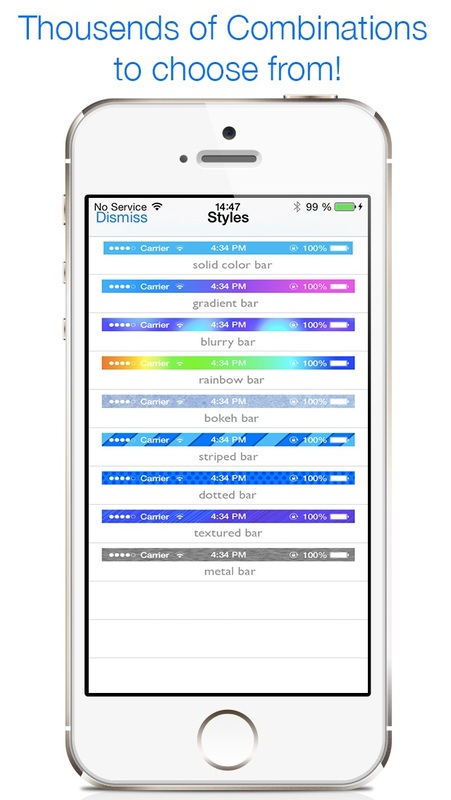 This app works by adding a color status bar of your choice to your devices wallpaper, which then places a "colored" section behind the translucent/transparent status bar section on iDevices. This app works on all models of the iPhone and iPod Touch. 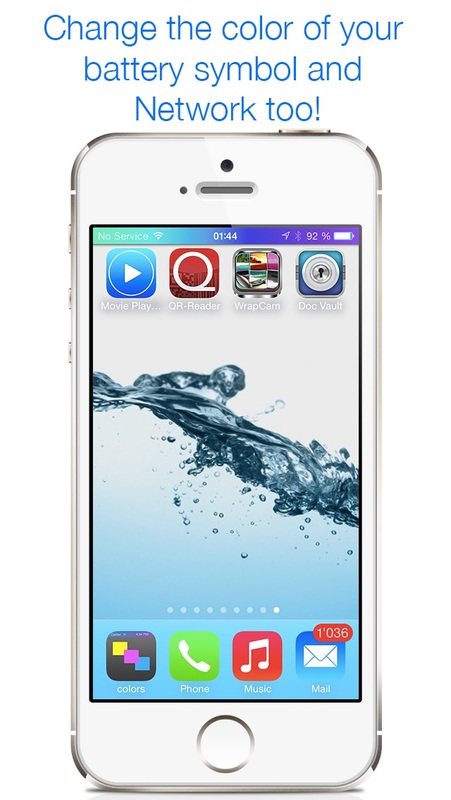 This app is designed for iOS7 and works best on iOS 7 devices but it will also work with iOS6.